We’ve talked about some surprises in Iran, now another surprise for Western tourists: travel to Iran is easier than ever! Iran is trying to attract more tourists from Western countries by stopping to stamp their passports. Now, American and Western citizens can enter to Iran territory without concern about their passport being stamped. Meanwhile and according to demands from Western tourists, Iran Destination offers unique package tours. Welcome to Iran! With entry and exit stamps not to be put on the passports of the visiting tourists, Iran is after removing tourists’ concerns about visiting Iran because of US sanctions. The proposal has been approved by the Iranian police and foreign ministry and it will be put into practice after gaining the approval of the council of ministers. 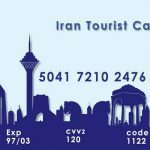 Iran Destination is ready to offer you any services for your trip to Iran. You can simply contact us for any issue, any request, question, suggestion, whatever you like too. 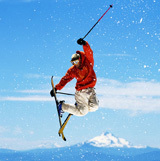 Iran travel agency is always available to answer you. You can take a look at our Iran tour packages and other pages on our website before you travel to Iran. We are waiting for you here.